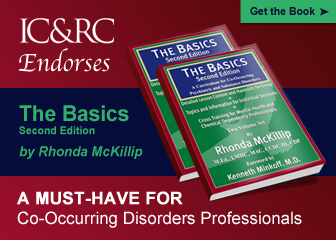 At the links below you will find study guides IC&RC endorses for their respective programs. 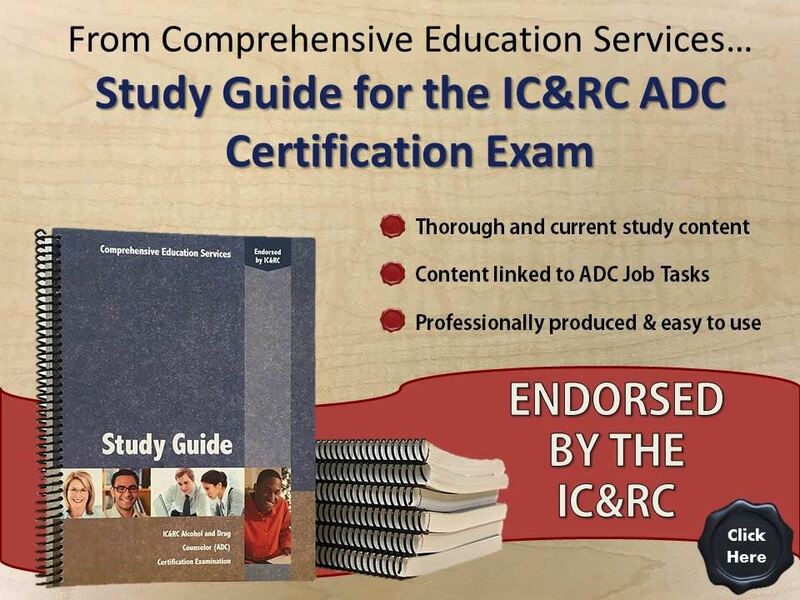 IC&RC does not participate in the development or publication of these guides, However, IC&RC does feel that the information in each guide is information candidates should know to prepare for their examination. 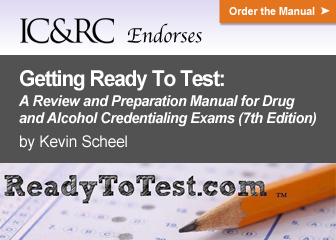 Examinations may contain additional information not covered in each guide so candidates should be sure to prepare thoroughly by reviewing the content section of the Candidate Guide for their examination. After completing the practice exam, candidates will receive a score report identifying their areas of strength and weakness. Also see Free Additional Resources for many or all IC&RC examinations. Resources are listed by subject and may be relevant to study for some or all IC&RC examinations. For example, SAMHSA TIP 59, Improving Cultural Competence, might prove helpful on all IC&RC examinations.